What Is a 401(k) Retirement Plan? Here's What You Need to Know. No matter what age you are, it’s never too soon to start thinking about — and actively saving for — your retirement. 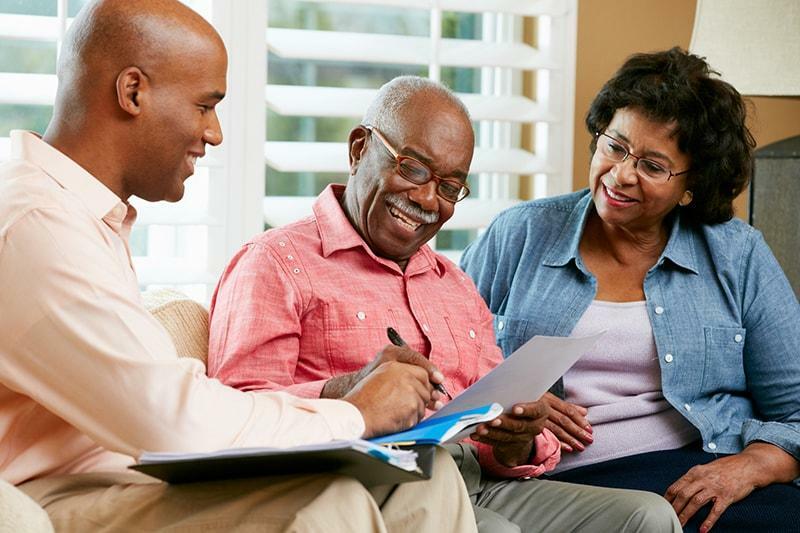 With reports coming out regularly about the severe retirement savings gap in the U.S., it seems as though the majority of Americans are vastly underprepared for this life event. If your employer offers a 401(k) at your place of work, this is a great way to get started (or continue) saving for your golden years. Before you jump in, find out exactly what a 401(k) is and how it can help you prepare for retirement. If you already contribute to a 401(k) plan, make sure you know what to expect when it comes time to retire. 1 How does a 401(k) work? 2 Are there any contribution limits to a 401(k)? 3 What’s the difference between a traditional 401(k) and a Roth 401(k)? 4 What happens if you leave your job? 5 How much should you contribute to your 401(k)? 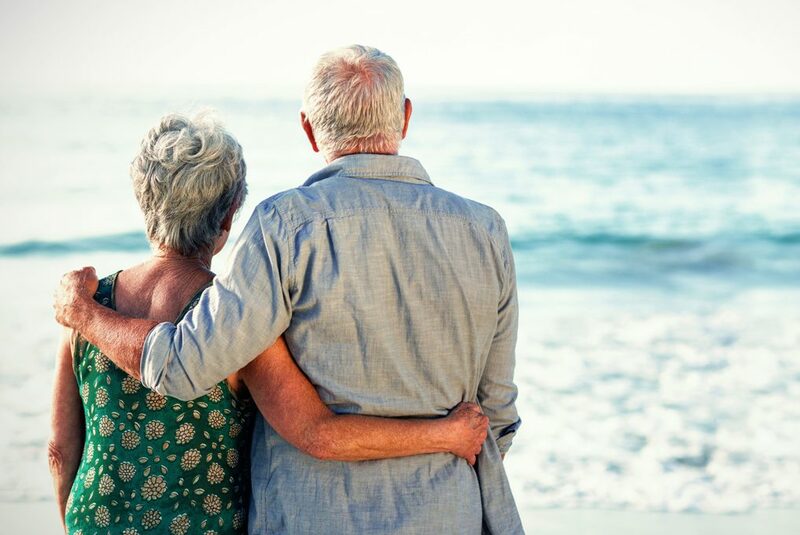 6 How else should you prepare for retirement? A 401(k) plan helps you save while investing your contributions in various mutual funds. Employers offer this type of retirement plan, so you can’t sign up for one unless you go through your place of work. As an incentive to save, you receive a tax break. Depending on the type of 401(k) you choose (or your company offers), you either receive that tax break when you make the contribution or when it comes time to withdrawal. Many employers offer a match to any contribution you make. This usually happens in one of two ways: they’ll either match dollar for dollar up to a certain limit or up to a percentage of your salary. The most common type of 401(k), the traditional 401(k), allows you to make any contribution tax deductible each year. So if you contribute $6,000 a year, you get to knock that off your taxable income amount. If you’re on the edge of a tax bracket and make a sizeable 401(k) contribution, you might even be able to jump down into a different bracket with a lower tax rate. While your investments continue to grow each year, they remain temporarily protected from taxation. Unlike other types of investments, you don’t pay any annual tax on your 401(k) earnings until you start to make withdrawals. At that point, you’ll be subject to regular income tax when you take out money each month. As you continue to make 401(k) contributions throughout your year, you can adjust your investments to become increasingly less volatile. The idea is that as you get closer to retirement age, you have less risk to ensure a solid nest egg when you need it. Are there any contribution limits to a 401(k)? While it’s a great financial tool to have under your belt, you can only contribute up to $18,000 each year, amounting to $1,500 per month if you divide it out monthly. If you’re over the age of 50, you’re allowed to contribute up to $24,000 a year ($2,000 per month). These contribution limits are in place so that you can only benefit from so much tax savings each year. Another rule associated with a 401(k) is that you must start taking “required minimum distributions” at some point. That means once you hit a certain age, you must begin withdrawing funds from your 401(k) account — and paying taxes on them. Currently, the requirement is that you start taking distributions the year after you turn 70 ½. Then you have to take out distributions by December 31 of each following year. Your minimum required amount is determined by the IRS based on your life expectancy. There’s nothing quite like a government tax agency predicting your lifespan, is there? Still, this information helps you determine what kind of tax burden you can expect when you’ve finally retired. While your income may be lower, your deductions might be as well; after all, you probably don’t have kids left at home to claim as a deduction. And if you’ve paid off your mortgage, you won’t have that interest to deduct either. It’s great not to have those expenses, but it can be helpful to talk to a tax professional to get a better idea of your taxes, especially in that first year of retirement or required minimum distributions. The more prepared you are, the more financial flexibility you can have! What’s the difference between a traditional 401(k) and a Roth 401(k)? While a traditional 401(k) offers upfront tax savings in return for taxes paid later during retirement, a Roth 401(k) flips the situation around. Instead, your contributions are made with your taxable income. In return, you don’t have to pay any taxes when you start withdrawing from your account during retirement. While you miss out on tax savings upfront, you’re only paying on the original contribution amount. If you had to pay taxes when you withdraw, you’re also paying taxes on everything you’ve earned, which is hopefully a lot more money than you started with. First, your account must be open for at least five years. You also have to wait until you’re at least 59 ½ before you can start taking distributions unless you’ve had a disability. A Roth IRA is particularly useful if you’ve accumulated a lot in retirement savings and other investments. While many people have less income when they retire, that’s not always the case. You may have a comprehensive portfolio of investments, in which case you could be better served by not paying taxes on at least part of your withdrawals. If you’re nearing retirement and expect to drop in your tax bracket soon, there may be no sense in using a Roth 401(k) now. A Roth 401(k) can be a great choice if you have a lower income now because you’re earlier in your career or have tons of tax deductions because of kids and a mortgage. Like all retirement plans, there are better products for different points in your life. By constantly reassessing how you contribute to your retirement savings, you can maximize your tax benefits now and in the future. See also: IRA vs 401(k) – Where Should You Invest Your Money? Don’t worry. You don’t lose your 401(k) savings if you leave your current employer. You typically have a few different options available to you. First, you can leave it in the company plan, if they allow it. You won’t be able to continue making contributions or any changes to your allocations. But you can access it when you’re ready to retire. A rollover allows you to switch the funds to another retirement plan without paying any tax penalties. You can either do an IRA rollover or use a plan from your new employer. You do need to make sure your new employer’s plan allows for rollovers. Then you can continue your contributions as normal, following the rules of the new account, whatever it may be. An IRA is always a good option because you’re in control of how you invest. And while the annual contribution limit is $5,500 (or $6,500 if you’re 50 or older), it doesn’t count when you’re rolling over funds. Your final option for handling your 401(k) when you leave your job is to cash it out. If you do this, you’ll be subject to all of the relevant penalties. These include a 10% early withdrawal penalty and income taxes for both federal and state. The exception to the early withdrawal penalty is if you are at least 55 years old when you leave your employer. How much you decide to contribute to your 401(k) depends on a lot of factors. At the very least, you should contribute the maximum amount allowed in order to receive a matching contribution from your employer. That essentially equals free money, which you should never pass up. Next, think about your financial picture as a whole. What kind of debt do you have? If you have any high-interest credit card or loan balances, you may want to focus your efforts on paying those down before contributing more to your retirement plan. Lower interest debts like a fixed student loan, may not be as pressing to repay. You’ll probably want a three to six-month emergency fund in case you lose your job or get a sudden illness or injury. Having a large chunk of money stashed away in an easy-to-access savings account can provide you with financial security here and now. Once you’ve got your overall savings plan in order, it’s time to start figuring out where else to invest for retirement. Before you max out your traditional 401(k), think about picking up a Roth IRA. This helps you diversify your retirement plans for tax purposes. Like a Roth 401(k), a Roth IRA lets you pay taxes on your contributions now so you don’t have to pay anything when you make withdrawals during retirement. It can certainly help you spread out your tax burdens over the course of your life. Still have money left over to invest? If you do, revisit your 401(k). Remember you can contribute up to $18,000 so you can certainly divert more of your income towards that maximum. How else should you prepare for retirement? Preparing for retirement takes a constant reassessment of your current needs versus your future goals. As easy as it is to say, “You need to contribute this-many-thousands of dollars a year to survive retirement,” the reality is that it’s much harder to actually do that. But saving for retirement is still a challenge worth conquering. Even if you’re in your 40s and haven’t started saving a dime, you can start today. Once you’ve got your current savings fund in place that you can use for emergencies, implement some of these easy tips to get ready for retirement. For now, worry less about picking the perfect type of account and focus on the habit of retirement saving. Investing in your retirement is really investing in yourself. 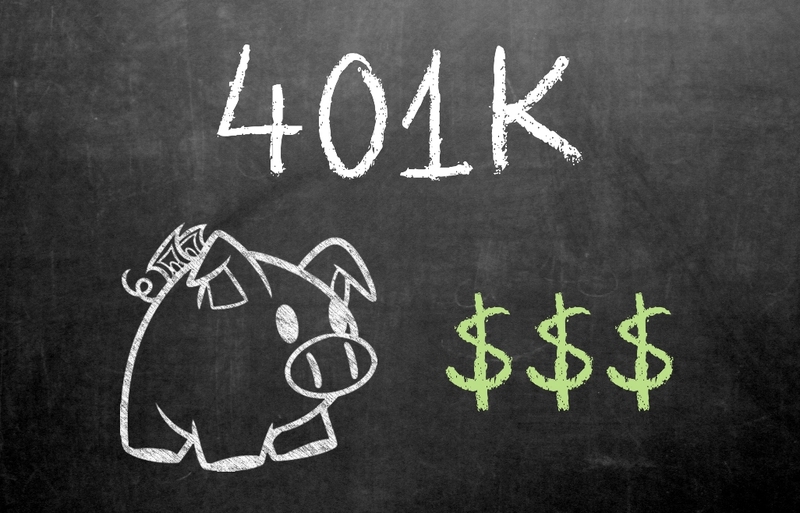 Taking advantage of your employer’s 401(k) is an important part of the equation. In addition to making regular contributions, be sure to explore all of your options for financing your retirement. A healthy portfolio mix isn’t difficult to develop and there are plenty of resources available to help you get started.